Steel core completely enveloped with protective thick white Nylon...tough, durable and non-rust even against seawater. STILON's sturdy tape edges make the blade life remarkably long. Unbreakable when bending to an acute angle and person steps on the tape and even if it is run over by truck. The tape is not separated into two pieces unlike the breakage of ordinary steel tapes. 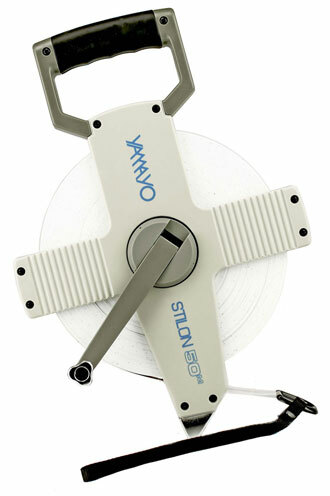 Steel tape coated with protective white nylon in ABS Open Reel. # The above Type D & A are not applied to JIS.